Food at Bulleigh Barton Manor. Food is very important to us here at Bulleigh Barton Manor. 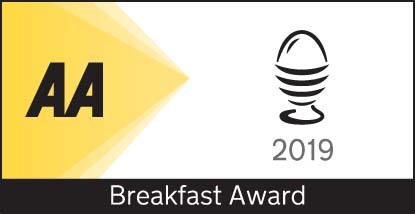 In the time we’ve been here we’ve enjoyed seeking out the very best local producers and suppliers, which is one of the reasons we’ve been awarded an AA Breakfast Award. Breakfast is normally served from 8.30am until 10am, if you’d like to eat earlier, just let us know. 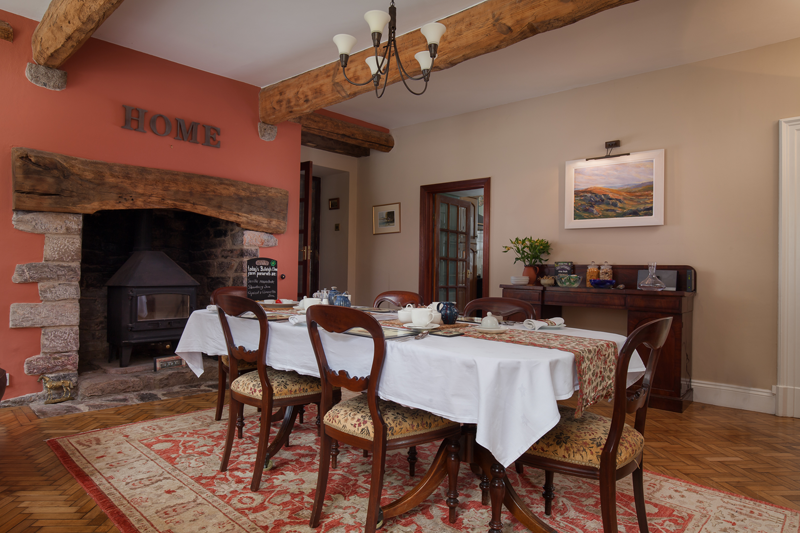 It is normally taken in the beamed Tudor dining hall, in colder months the log burning stove keeps the room warm and welcoming. 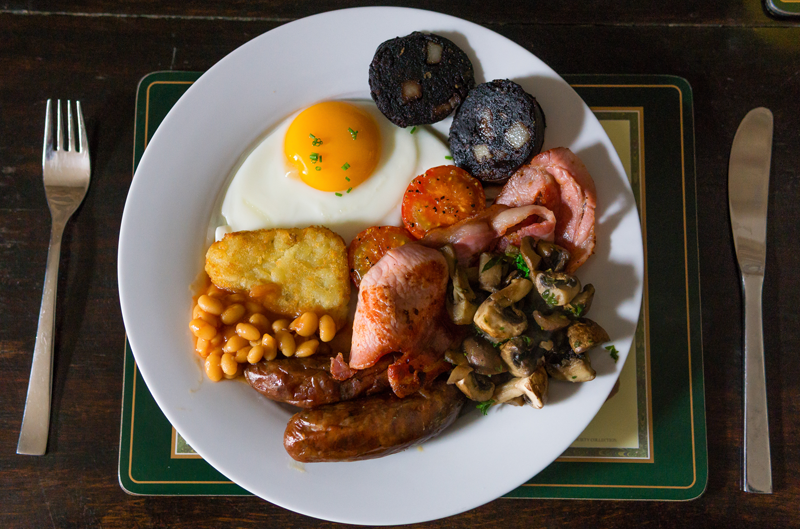 We are proud of our full English breakfasts which are sourced as locally as possible. 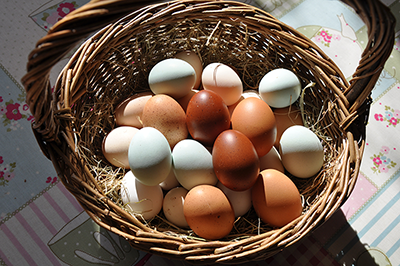 Eggs come from our own flocks of chickens, which you are welcome to visit in the garden and paddock. 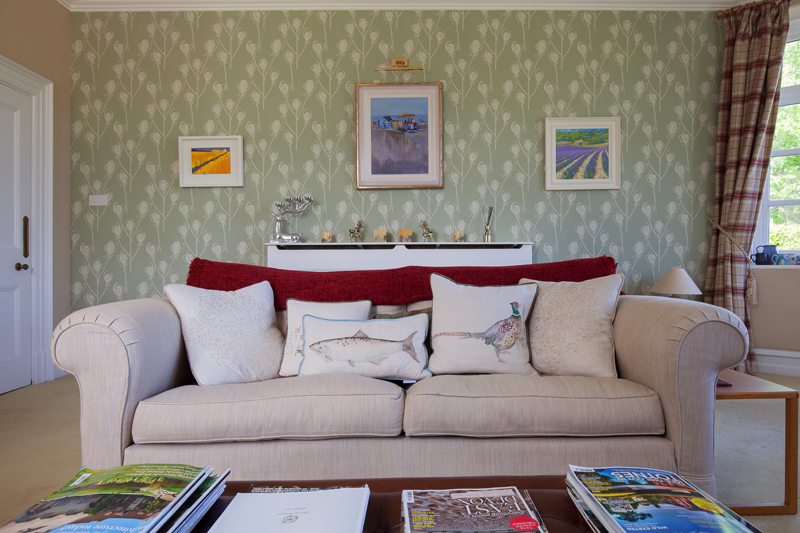 Our neighbouring farm, Bulleigh Elms, makes wonderful jams and marmalade, which we are delighted to serve to our guests. Our local fishmonger smokes their own fish and so we are also able to offer locally produced smoked salmon with scrambled eggs, or Brixham landed smoked haddock with poached eggs, to guests who prefer a lighter option. 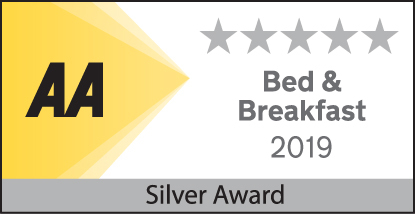 We are very happy to cook for people with specific food requirements and are used to providing both gluten free and dairy free breakfasts. All we ask is that you let us know your requirements ahead of your visit. We don’t serve evening meals but are happy to make you up a cold platter of either locally smoked trout or Devon cheese at a cost of £12.50 per person. All we ask is 48 hours notice to source the ingredients. Another joy of living in this area is the number of really good eating places close by, Devon really is a food lovers paradise! If you would like recommendations for eating out, then we are happy to suggest local restaurants and pubs and to book tables for you if required. Please let us know if you would like us to send you our guide to eating out locally ahead of your visit, to help you to plan your stay. We are happy to make a reservation for you if required. 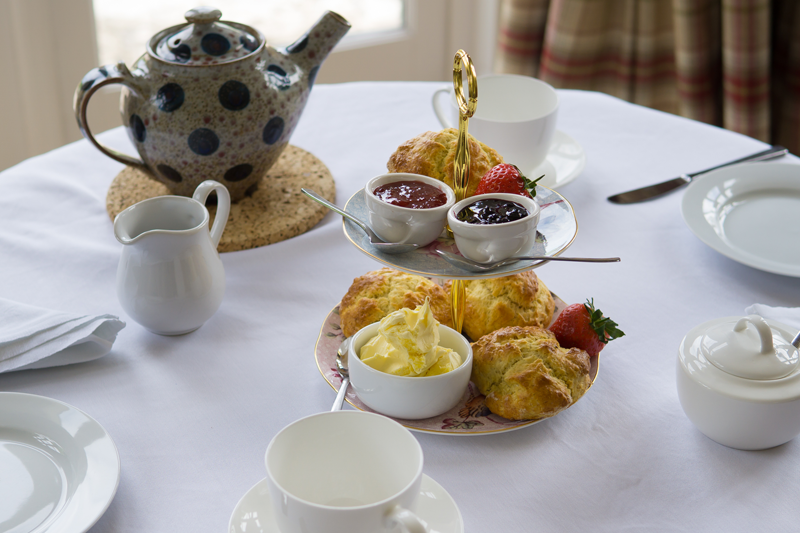 No visit to Devon would be complete without a cream tea, which is why we offer a complimentary welcome cream tea to guests arriving between 4pm and 6pm. Each day you will be welcomed back to your room with a homemade cake or biscuits. We like to serve a different cake for each day of your stay, if you’re here for two weeks we’re happy to take up the challenge!